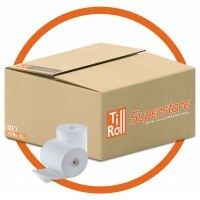 Till Roll Superstore is one of the UK’s leading suppliers of thermal rolls and non-thermal till rolls direct from our huge till roll warehouse in London. We sell PDQ and credit card machine supplies, as well as till receipt paper for printers and EPOS machines. We offer premium quality till paper rolls in all available sizes, at the best prices with fast delivery options. 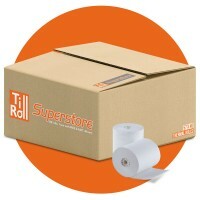 If you need help locating the correct till rolls online, try our quick search. Just insert the manufacturer's name and model. 80 x 80mm Thermal paper till rolls direct to you from a UK manufacturer. High grade therm..
We are an established online till roll company supplying UK and EU based retail and B2B businesses, premium quality PDQ, EPOS and till printer supplies, dispatched directly from our UK till roll warehouse, in London. We offer thermal and non-thermal till roll supplies for all devices and applications. Thanks to their simple, reliable and economical technology, thermal rolls are at the core of just about every retail, banking and hospitality business. Their versatility means the technology is as suitable for portable credit card machines as it is for fixed point of sale terminals. 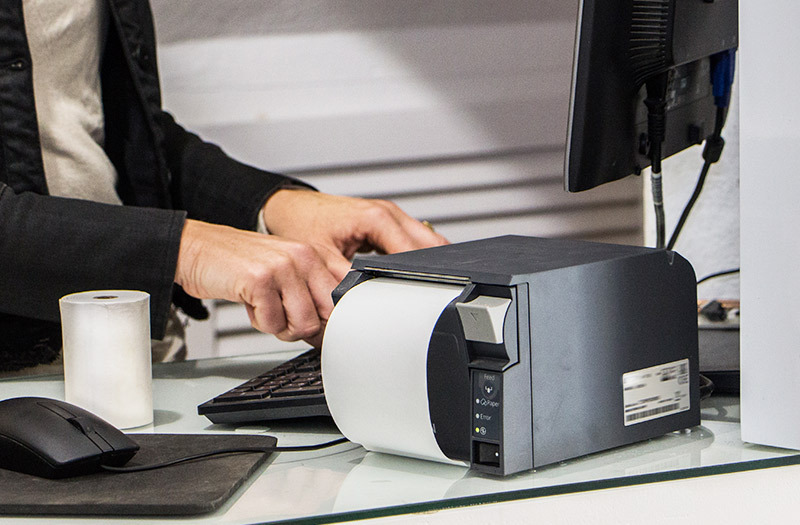 Thermal printers heat the text onto the paper, making it a more economical choice because it doesn’t use ink cartridges which need regular replacement. The technology is fast and the type does not blur or smudge. It’s important to choose the right type of paper for your business. Your requirements may be different if you are making transactions indoors rather than outdoors. You may also choose coated paper to deal with high humidity or extreme temperatures or thicker paper which has a more premium feel. Nowhere has been more revolutionised by the development of thermal receipt paper than point of sale technology. Advances in this field have made wireless credit card machines extremely portable, allowing you to take your PDQ machine terminal to your customer, even if all you have is a mobile signal. With the increase in this portability, so too has the demand for PDQ and Credit Card Machine Roll paper increased proportionately. Whether you use Card Machine Rolls for Countertop, Portable or Mobile Devices, we can provide the best till rolls online at the lowest prices. We’ll ensure you get the right size and quality of paper for your device. We’ve got the widest range of supplies to fit your machines wherever they come from and wherever they’re used. We also stock 80mm thermal rolls for machines that take paper of a diameter larger or smaller than 80mm. Our range will fit every type, make and model of credit card terminal, cash register, till, EPOS system or chip and pin device. They come in a wide selection of colours, sizes and quantities to suit your business type and turnover. As with all thermal rolls, the sizes are listed according to first width, then diameter and finally core. So an 80x40 roll will be 80mm wide with a 40mm diameter. You don’t need to worry much about the core as 12.7mm is standard for just about every machine. Although the number of non-thermal till rolls sold is gradually declining as machines that use them are replaced, they still remain vital in some industries, because they have different properties to thermal printers. There are still plenty of tills or cash registers in use that don’t rely on thermal paper. Sometimes it’s because the cost of replacing these machines is greater than the potential saving. Also, the cost of non-thermal till rolls is less than for thermal paper, although generally, this is outweighed by the charge for replacement inks and increased maintenance. At the heart of a non-thermal device is a dot matrix printer which uses pressure and ink rather than temperature to print. This allows them to, for instance, create multiple copies simultaneously which makes it easier to keep track of orders; or other applications which require more than one person to utilize the same information at the same time. Thermal printers are able to create multiple copies, but only in the form of separate tickets. You might find some suppliers who regard this technology as obsolete, so they may not stock the supplies you need. Not us. 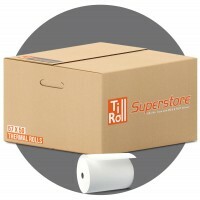 Contact Till Roll Superstore, as a premium till roll company we pride ourselves in being able to provide you with the best non-thermal till rolls you need at an unbeatable price. In the confines of a hot and humid restaurant kitchen, dot matrix technology really comes into its own. That’s where so-called “kitchen rolls” are used, particularly to print order dockets. 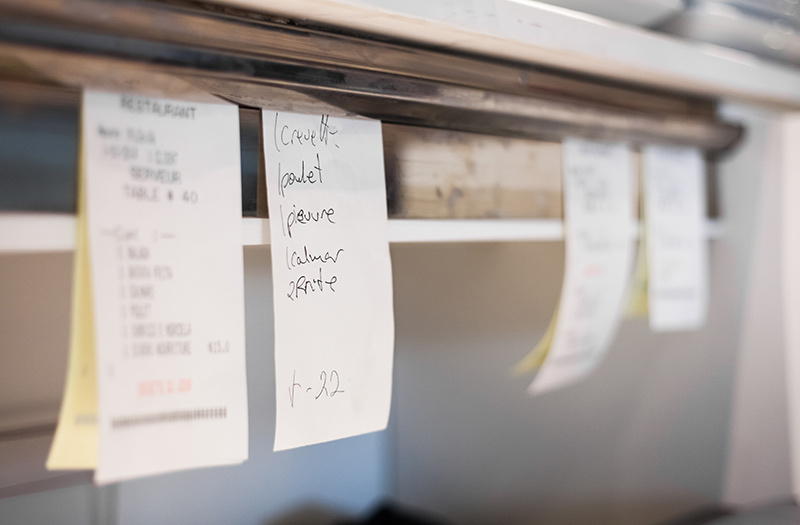 These replace the often illegible carbon paper pads used by waiters to pass orders to the chef. It’s this sort of situation where the ability to produce simultaneous copies is valuable. The technology also has the advantage that it tends to use heavier paper which is less prone to damage from greasy fingers as well as the heat and humidity of a busy commercial kitchen. 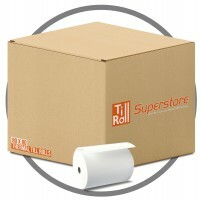 Whatever credit card rolls your printer requires, we have the thermal printer paper to fit. And always at the best possible prices. Not all 80mm POS thermal till rolls are created equal in cost or quality. We stock only the finest at the lowest possible prices. In tough, hot and humid environments only the strongest non-thermal papers will survive. Find the best and most economical kitchen rolls.